With the introduction of the EU's ERP directive, fan manufacturers face the challenge of either improving the efficiency of their systems that don’t comply, or seeing them withdrawn from the market. As Frank Griffith, a consultant drives engineer with ABB in the UK, explains, there are technical difficulties in improving the efficiency of impellers and transmissions, so many are looking to use more efficient motors. The clock is ticking for inefficient fan systems in the European Union. Since January 2013, any new fan systems sold in the EU have had to comply with the Energy Related Product (ERP) directive, a set of mandatory efficiency levels that apply to the whole fan system, from the input of electricity to the output of air flow. The mandatory efficiency values vary with the type and size of the fans. From January 2015, the regulations will be tightened further. The directive will force providers to improve the efficiency of non-compliant systems, or take them off the market. For fan manufacturers, this means going through their product ranges to see what can be done. It’s simply a question of measuring, make modifications, measure and try again. Not so long ago, users of fan systems would look to the efficiency of the individual components in the fan system to get the best value. Today, they are more inclined to look at the total system efficiency, an approach that is encouraged by the new legislation. This is not to say that the efficiency of individual components is irrelevant. The efficiency of the motor, the impeller and the drive system are essentially the variables that the fan manufacturer has to work with. But to optimise the system’s performance for energy efficiency, it is important that these components are correctly dimensioned in relation to each other. 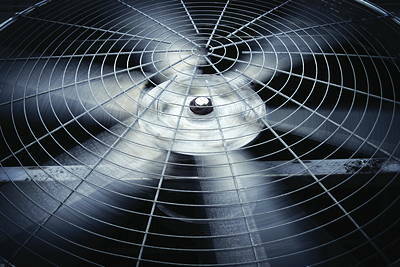 It is also essential that the fan system itself is selected and installed correctly. In this respect, a great deal of responsibility still rests with the end-user to provide correct and relevant information. In some categories of fan systems, meeting the efficiency target is fairly straightforward for the fan manufacturers, while for others, it is more of a challenge. In particular, small fan systems have turned out to be problematic and for some fan types, with poor aerodynamic properties, it may be necessary to re-design the system using a larger fan or a higher speed. This could mean that the system might generate more noise, or need more installation space. These are trade-offs that should come down on the side of energy efficiency. When optimising a fan system, there are only a few components to work with – the motor, the transmission and the fan itself. In case of direct-drive fans, the transmission is eliminated, which leaves only two components to work with.